Course Website: Official Website - Visit Barefoot Resort & Golf (Love)'s official website by clicking on the link provided. 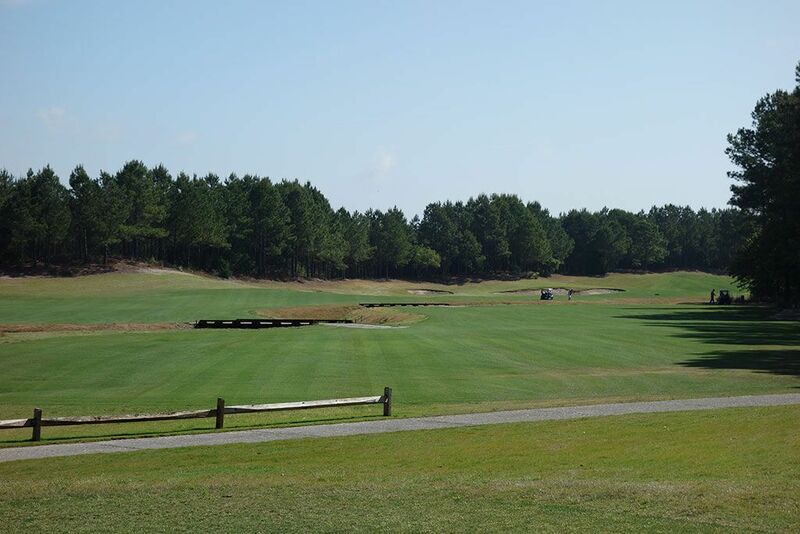 Accolades: Ranked 8th in South Carolina on Golf Course Gurus' Best in State list. 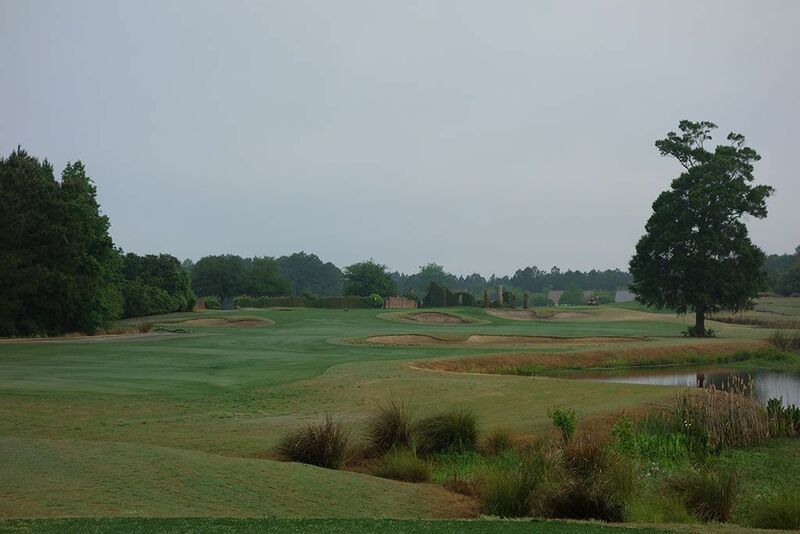 What to Expect: Barefoot Resort boasts four courses at the property with headline designers Tom Fazio, Pete Dye, and Greg Norman complementing the Davis Love III track that many consider to be the most acclaimed of the group. Perhaps the feature that stands out most at Love's course is the variety in the design. The par 3s range from 136 - 235 yards, the par 4s span 294 - 463 yards, and the par 5s spread out from a mere 484 to a daunting 596 yards. 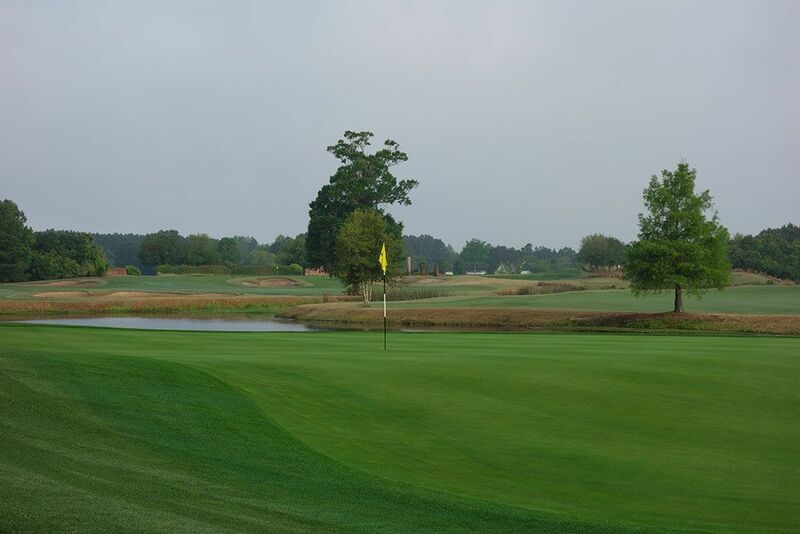 The course features generous fairways and forgiving landing areas off the tee which help set up approach shots into the large, undulated greens that are domed enough to draw comparisons to Pinehurst's famed No.2 course. The Champion UltraDwarf creates an excellent putting surface while the Greg Norman developed GN-1 hybrid turf found on the fairways and tees is better than bermuda but not as enjoyable as seashore paspalum or other newly developed strains are proving to be effective in coastal areas. Since Barefoot send players out on both nines in the morning, pace of play can be an issue particularly if you play your opening nine in two hours or less and then catch the log jam on the second nine. In fact, pace of play and some conditioning issues (particularly with drainage after rain) are the biggest knocks on the course while variety and memorability achieve high marks. Signature Hole: 4th Hole – 294 Yard Par 4 – Love's signature hole at Barefoot is undoubtedly this driveable par four that is flanked by water on the right the whole way to the green. A drive that carries 260 yards is required to carry the last fairway bunker and set up a great birdie chance. The replicated ruins of an old plantation home set the background of this attractive hole and bring a uniqueness that is very rarely seen. A slope in the fairway creates two distinct tiers that give the impression of a split fairway with the more generous landing area being on the right. From the left side the angle into the green is superior and will yield birdies more often than from the right. Best Par 3: 3rd Hole – 191 Yards – This attractive par three is the first of four holes that play along water and represent perhaps the most memorable stretch of holes on the course. A pair of bunkers pinch the narrow opening to the green so be sure to take enough club to fly the ball to the center of the putting surface to maximize your safety, no matter where the pin is at. 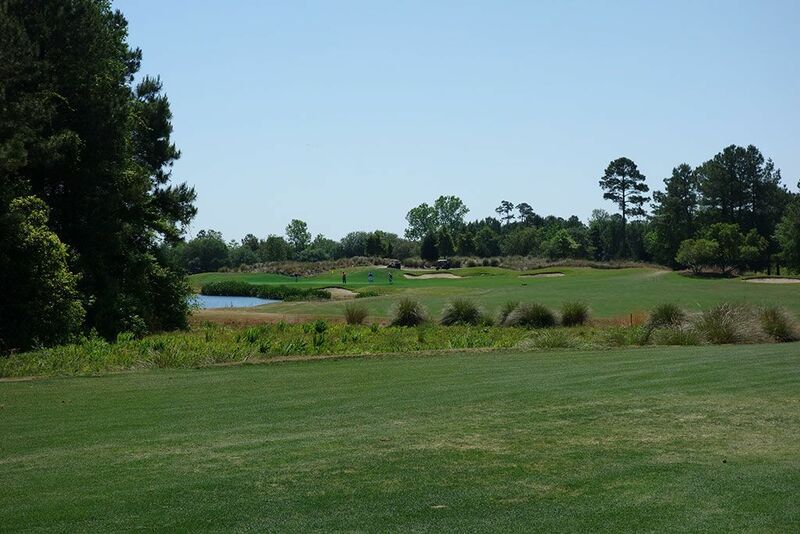 Best Par 4: 6th Hole – 403 Yards – This dogleg right play around a pond with a bunker protecting the corner and requires 235 yards of carry to clear. The safe play left of the bunker and hazard will set up an uphill approach shot to a an elevated green that is just 15 yards wide and fronted by a stone wall. Approach shots that come up short will find the chipping area short of the wall which presents a challenging par save opportunity from a tight lie. Best Par 5: 18th Hole – 596 Yards – The closing hole at Love's Barefoot course is considered by some to be the best and others to be the meanest. Often playing back into the wind, this nearly 600 yard monster won't be reached in two by very many players. A waste/marsh area creeps in from the left 330 yards from the back tee and marks the spot the hole begins turning to the left. The green is angled from front right to back left until it terminates next to a pond which sets up one of the most penal approach shots on the course, particularly with a trio of bunkers always lying in wait. There is a lot going on with this hole and it represents one of the strongest finishing holes on the Grand Strand. Birdie Time: 13th Hole – 484 Yard Par 5 – This short par five presents an excellent scoring opportunity that should not be squandered. The teeth with this hole comes in the form of a creek that carves through the middle and creates dual fairways to play from. Playing up the more narrow right side will shorten the approach into the raised green but also brings a series of trees into play that could potentially cause havoc on the approach shot. 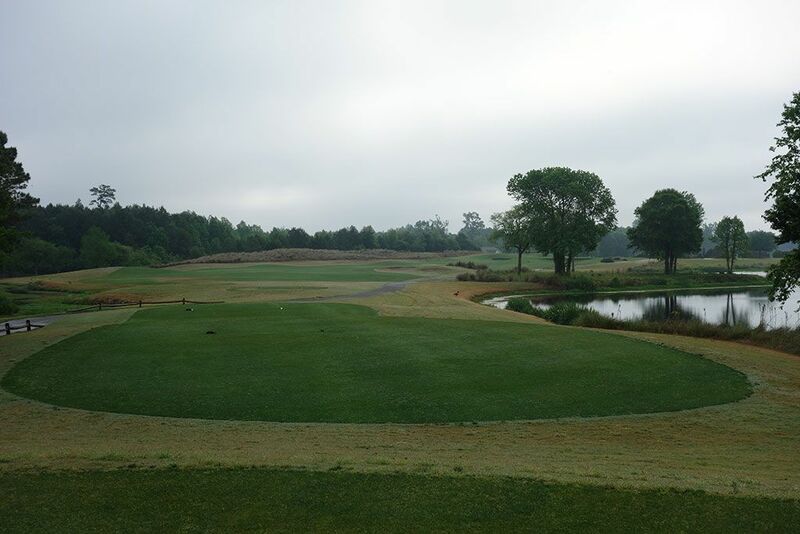 Long hitters can set themselves up to have an iron into this green that features a hill on the left and a huge bunker and creek on the right. 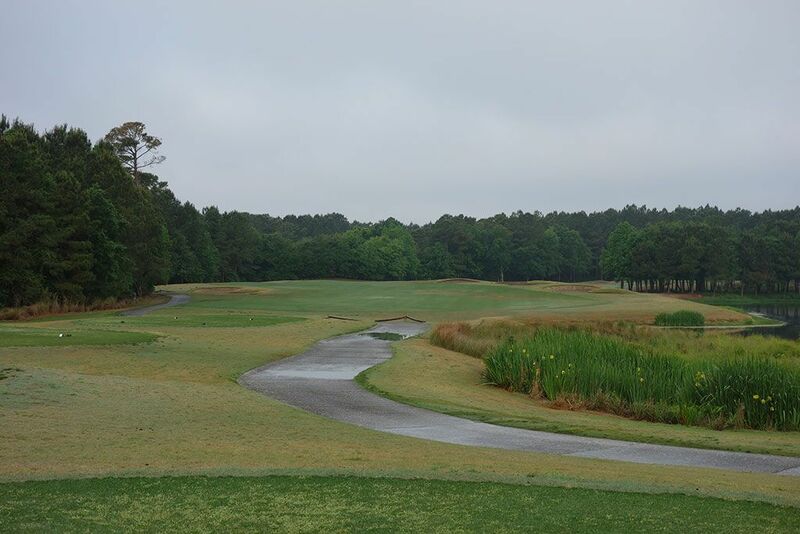 As long as you stay dry on this hole you shouldn't have trouble taking par or better here. Bogey Beware: 5th Hole – 463 Yard Par 4 – This long par four features water on the right while bunkers pinch the landing zone to its narrowest point at 260 yards from the tips. The hole turns right after the final fairway bunker and sets up a long approach shot to a raised green with a wall of trees acting as the backdrop. The setting of this hole gives a real sense of isolation from the real world, so if you card a bogey you can at least enjoy how great this property is for golf.